Remember the "boogie man"? 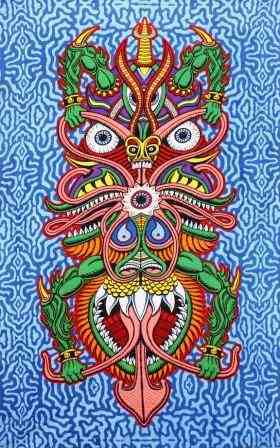 This psychedelic tapestry shows what he probably looked like. 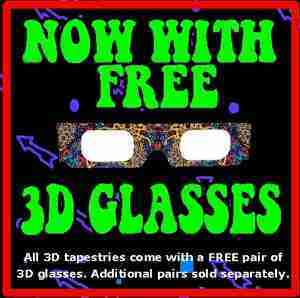 3D glasses, will make this tapestry come alive. You can use this tapestry as a wall hanging in your home or office, frame it, or even jazz up your festival campsite. It would look great in a dorm room. Measures approximately 30" x 45". Also available in a larger giant size.